A bonfire pit is a simple circular fire ring which people can sit around. 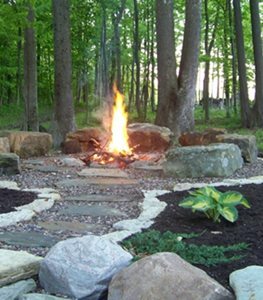 Traditional fire pits provide a great place for socializing outdoors. 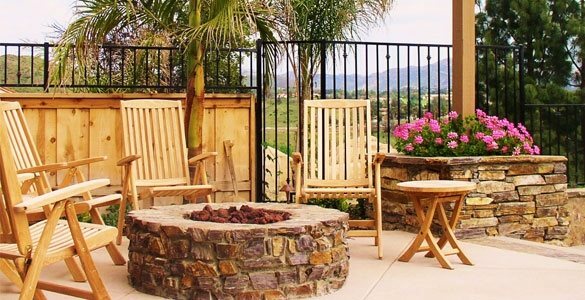 Most people who want the bonfire atmosphere opt for a wood burning fire pit; however, gas or propane is also an option. 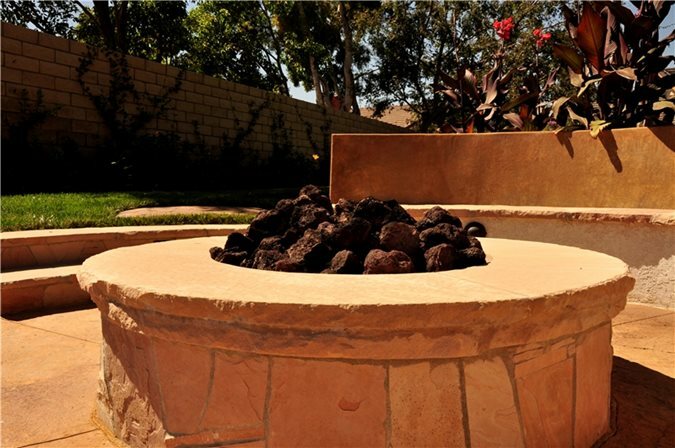 A traditional round fire pit, such as this one, is a great place to socialize with friends. The round shape helps create a bonfire-like atmosphere by allowing people to gather around comfortably. 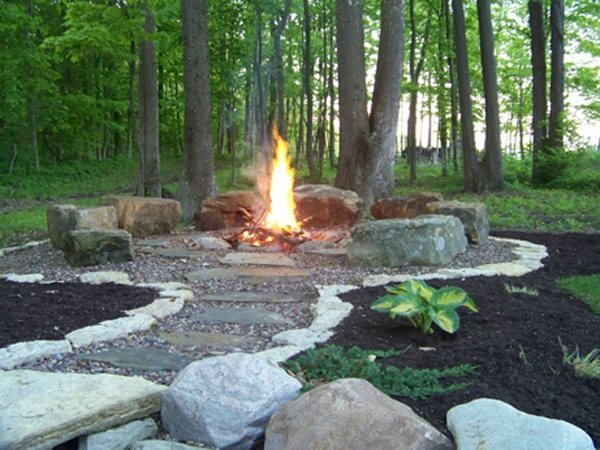 When designing a fire ring for your home, think about how many people you would like to get around the fire pit. This will help you determine how big it should be. This particular fire pit is fueled by natural gas and filled with lava rocks. EarthArt Landscape Architecture in Solana Beach, CA. Imagine having a place to gather with your family after a long work week. Your own bonfire pit will provide just that—a place to relax and spend time with those that mean the most to you. 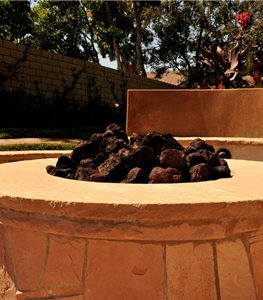 This fire pit was made with stones in order to match the planters and retaining walls on the rest of the property. Ambiance Gardens in Greenwood, IN. 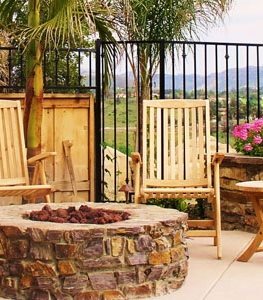 Let the surroundings and style of your home dictate the appearance of your fire pit. This wood burning fire pit, located on the edge of the woods, has a very earthy feel. It is surrounded by natural boulders that provide lots of seating for friends and family.